LeBron James has been a threat to any team he faces ever since he started in the league in 2003. He has played in the last five National Basketball Association finals, and no matter the team he played for, whether it be the Miami Heat or Cleveland Cavaliers, he has dominated the game and led the team to wins. This year, in Game 3 on May 19, the Cavaliers got off to a large lead, as they did in Game 2. With five minutes left in the first quarter, the Cavs were already up by 16 points. 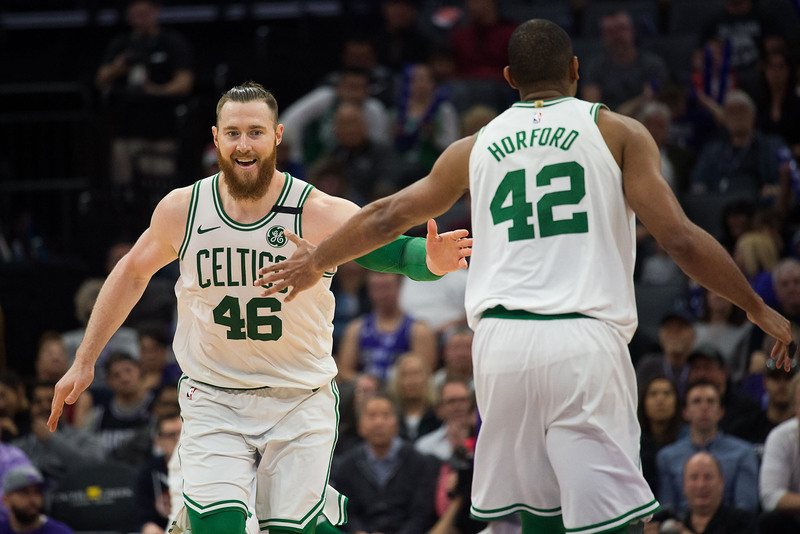 The Boston Celtics tried to get some points to make a comeback, especially with a monstrous dunk by power forward Aron Baynes off of a missed layup by point guard Marcus Smart. However, by the middle of the second quarter, the Cavs still had a 17 point lead over Boston. This was aided by a beautiful assist made by LeBron to Larry Nance, Jr., who went up for the easy dunk. Later that quarter, it was LeBron who went in for the dunk through a pass from Kevin Love, who was outside the three point line and threaded the needle to James. These kind of clutch plays are what led to an almost 20 point lead going into the half. In the third quarter, LeBron kept up the amazing assists with an awesome bounce pass to Tristan Thompson for yet another dunk. This brought the lead up to 21 points around the middle of the third quarter. LeBron continued this trend into the fourth quarter, where he had an alley-oop to Nance again, this time increasing the lead to 19. In the end, the Cavs ended up with a 30 point lead and won 116-86. James had a double-double with 27 points and 12 assists. In Game 4, May 21, the Cavs did not have as much success, as the Celtics did not let them get the monstrous leads they had in Game 3. However, the connection between LeBron and his teammates did not go away. Nearing the end of the first quarter, Kevin Love caught the rebound from a failed three by Smart and throws a line drive over the whole court to LeBron, who catches the ball over two defenders, plants his feet and makes the layup. The Celtics made some key plays this game to keep the lead close. During the second quarter, Smart made a promising drive to the basket, but instead of going for the basket, he gives an alley-oop to Al Horford, who slams it in for two points. Later, Terry Rozier grabs a bad pass from the Cavs and throws the ball to Jayson Tatum, who runs down the court for the easy dunk. However, the Cavs kept making excellent plays to keep the lead for the rest of the game. Late in the third quarter, Thompson blocks a layup by Rozier, which then gets recovered by the Cavs. The ball then gets passed to LeBron, who gets by multiple defenders for the layup. Plays like these kept the lead in the hands of the Cavs, and in the end, they came out on top. Game 5 was when the Cavs’ hot streak ended. The Celtics bounced back after two straight losses with an 11 point lead at the end of the second quarter. The Cavs had a couple good plays to keep the lead low: LeBron drove to the basket for a stop-and-go layup, as well as a fadeaway two. However, the Celtics did not give up. Smart had a key drive late in the second quarter to bring the lead up to 14. Jaylen Brown also hit a fadeaway jumper in the third quarter to keep up the lead for the Celtics. This lead was kept into the fourth quarter, where Rozier had a monstrous alley-oop to Horford. This lead was kept till the end, when the Celtics won 96-83.